The Platinum Delta SkyMiles® Credit Card from American Express is an airline credit card with an extremely generous portfolio of perks for frequent Delta flyers and a travel rewards program that favors Delta purchases. The rewards program is similar to the American Express Gold Delta SkyMiles Credit Card (and its cousin, Gold Delta SkyMiles for Business). However, Platinum Delta SkyMiles’s frequent flyer perks definitely step it up from the Gold level, and the rewards program has an added component that rewards heavy spending with accelerated progress toward Delta’s Medallion status thresholds. Though Platinum Delta SkyMiles is a generous travel rewards credit card by any stretch of the imagination, it’s also pricey: its annual fee is $195, and is not waived in the first year (as is the case with many less-generous travel rewards cards). If you want this card in your wallet, you need to use it often enough – and fly Delta frequently enough – to make it worth the cost. Earn 35,000 bonus SkyMiles and 5,000 bonus Medallion Qualification Miles when you spend at least $1,000 in eligible purchases during the first 3 months. Plus, earn a $100 statement credit when you make a Delta purchase with your card in the first 3 months. To truly understand how this card works, you need some background on Delta’s Medallion status program. Medallion has four tiers: Silver, Gold, Platinum, and Diamond. All confer generous benefits for frequent Delta flyers, including complimentary class and preferred seating upgrades, accelerating MQM and SkyMiles earnings, priority boarding, and waived fees (including baggage and standby). Medallion benefits become more attractive as you ascend the tier ladder, with Diamond status (the highest status) conferring a complimentary Delta Sky Club (airport lounge) membership and two Global Entry application vouchers. To achieve Medallion status levels, you need to combine adequate MQMs (miles calculated as a multiple of total distance flown on each flight, usually 100% of distance in economy and 200% of distance in first class) or Medallion Qualification Segments (MQSs – basically, any Delta flight segment) and adequate Medallion Qualification Dollars (MQDs – dollars spent with Delta, including base fares, surcharges, and certain upgrades) within a calendar year. You then earn Medallion status for the remainder of the current year and all of the subsequent year. Silver Medallion status requires 25,000 MQMs or 30 MQSs and $3,000 MQDs; Gold Medallion status requires 50,000 MQMs or 60 MQSs and $6,000 MQDs; Platinum Medallion status requires 75,000 MQMs or 100 MQSs and $9,000 MQDs; and Diamond Medallion status requires 125,000 MQMs or 140 MQSs and $15,000 MQDs. Every $1 spent on Delta purchases (including airfare, lounge passes, in-flight purchases, and other incidental expenditures) earns 2 Delta SkyMiles, with no limits on how much you can earn. All other purchases earn an unlimited 1 SkyMile per $1 spent. Accumulated SkyMiles can be redeemed for Delta airfare. Redemption thresholds vary, and Delta doesn’t publish an award chart, but you’ll need at least 10,000 SkyMiles (and probably more) to redeem for a single domestic economy segment. International flights have far higher redemption minimums – north of 50,000 SkyMiles, in some cases. Keep in mind that Delta’s redemption tables are not set in stone – certain travel times, dates, and destinations (for example, peak-season weekend flights versus off-season weekday flights to popular vacation destinations) may require more SkyMiles. Because flight distance and underlying fare pricing vary, SkyMiles’ redemption values vary too. In general, expensive long-haul flights offer better value than cheap short-haul flights. If you don’t have enough SkyMiles to redeem for a full fare, you can combine cash and points at a $0.01-per-mile base rate to subsidize your out of pocket expenditures. It’s also possible to redeem SkyMiles at the Delta SkyMiles MarketPlace for merchandise, gift cards, and special experiences (such as musical performances). However, MarketPlace redemptions usually undervalue miles – in many cases, at significantly less than $0.01 apiece. On the other hand, MarketPlace redemption thresholds are lower – sometimes as low as 2,000 SkyMiles. When you renew your card (at your annual renewal date), you get one companion certificate, good for one domestic economy round-trip flight. To use the certificate, the designated companion needs to be traveling with the primary cardholder, who must purchase the ticket (and pay any government taxes and fees on the companion fare) with his or her Platinum Delta SkyMiles credit card. When you spend at least $25,000 on your card (in total purchases) in a calendar year, you get 10,000 bonus Medallion Qualification Miles and 10,000 bonus SkyMiles. When you clear the $50,000 annual spending threshold within a calendar year, you get an additional 10,000 MQMs and 10,000 SkyMiles. That adds up to a total potential spending bonus of 20,000 MQMs and 20,000 SkyMiles. If you spend at least $25,000 in a calendar year with your Platinum Delta SkyMiles card and have earned the requisite MQMs or Medallion Qualifying Segments (MQSs) to reach a given Medallion status level, Delta waives that level’s MQD requirements. For instance, if you’ve accumulated the 50,000 MQMs necessary for Gold Medallion status, you don’t need the $6,000 MQDs normally required to complete Gold qualification. All benefits are subject to limitations and may require out of pocket spending. There is a $195 annual fee, but no foreign transaction fee. Balance transfers and cash advances both cost the greater of $5 or 3%. Late and returned payments both cost $37. MQM Bonus and MQD Waiver Dramatically Accelerate Medallion Status Progress. The Platinum Delta SkyMiles card’s power really awakens once you cross the $25,000 annual spending threshold, and redoubles when you hit $50,000. $25,000 in annual spending earns a 10,000 MQM bonus and an MQD waiver, meaning you only have to worry about MQMs or MQSs when striving for the next Medallion status level. If you hit $50,000, you earn 20,000 MQMs – 80% of the way to Silver, or Gold from Silver, or Platinum from Gold. Companion Certificate Benefit Every Year. Every year in which you remain a Platinum Delta SkyMiles cardholder in good standing, you get a complimentary Companion Certificate that can be redeemed on any domestic round-trip route – a potential value of $500 or more, depending on the route. There’s no associated spending requirement, aside from paying the annual fee and covering the cost of your own ticket when traveling with your companion, so you never have to worry about qualifying for this benefit. 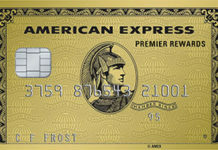 Many competing travel cards, including Premier Rewards Gold Card from American Express, don’t offer companion fare benefits. Annual SkyMiles Bonus Worth Up to 20,000 SkyMiles. If you reach the $50,000 spending threshold, you’ll earn 20,000 bonus SkyMiles (20,000). That should be enough to cover the cost of a one-way domestic segment, and may get you a fair bit farther. Strong Welcome Offer. This card’s welcome offer requires just $1,000 in new spending. For that, you’ll earn enough SkyMiles to fund a free round-trip economy fare to anywhere in the continental United States, get 20% of the way to Silver Medallion status, and earn $100 off your next paid Delta fare. Discounted Airport Lounge Passes. This card gives you up to three discounted Delta Sky Club passes on every trip, good for you and up to two companions – worth up to $90 every time you fly, assuming a $30 discount off full-price entry. Many competing cards don’t offer any sort of complimentary or discounted airport lounge access. No Foreign Transaction Fee. Platinum Delta SkyMiles does not charge a foreign transaction fee – a major perk for cardholders who regularly travel outside the United States. Since Delta serves an array of international destinations (particularly in Europe), this could certainly come in handy. High Annual Fee. Platinum Delta SkyMiles has a high annual fee – $195 – and it’s not waived in the first year of card membership. If you don’t travel frequently or spend heavily, it’s not worth trying to qualify for this card. Airfare Rewards and Redemption Exclusive to Delta. Platinum Delta SkyMiles (and the SkyMiles rewards program in general) restricts SkyMiles redemptions to Delta airfare only. If you live near an airport that’s poorly (or not at all) served by Delta, consider a general purpose travel card such as the Chase Sapphire Preferred Card or the Citi ThankYou Premier Card. Points Accumulate Slowly on Non-Delta Spending. Platinum Delta SkyMiles earns just 1 SkyMile per $1 spent on non-Delta purchases – a mediocre rate that’s bested by many competing general purpose cards, such as Chase Sapphire Preferred (2 points per $1 spent on restaurant dining and travel purchases). However, SkyMiles can be – though aren’t always – worth more than points earned with those two cards. MarketPlace Redemptions Undervalue SkyMiles. Though SkyMiles’ value varies based on the underlying cash price of the flights for which they’re redeemed, it’s generally a good deal to redeem them for airfare. That’s not the case with non-airfare redemptions at the SkyMiles MarketPlace, which typically value points at well under $0.01 apiece. Unless you have more SkyMiles than you can possibly redeem for airfare, and don’t plan to travel extensively anytime soon, it’s not advisable to blow your points at the MarketPlace. In fact, if you find yourself earning SkyMiles faster than you can redeem them for airfare, it’s probably time to get another credit card anyway. American Express’s Membership Rewards program – whose member cards include Amex Platinum, Amex Premier Rewards Gold, and Amex EveryDay Preferred – is much more versatile, and values non-airfare redemptions far more reasonably. Delta is a major U.S. airline with several hubs and hundreds of destination cities. Indeed, much of the U.S. population lives close to an airport served by Delta or its affiliates. These consumers comprise Platinum Delta SkyMiles’ target audience – though, given its stringent credit requirements and limited appeal to people who don’t spend heavily, it’s only appropriate for a small fraction of them. On the other hand, if you belong to the relatively small cohort of U.S. consumers who don’t live within easy reach of a Delta airport, the Platinum Delta SkyMiles® Credit Card from American Express definitely isn’t appropriate for you. The good news is that there’s probably at least one airline credit card – or perhaps a general purpose travel card, such as Chase Sapphire Preferred – that is a better fit. 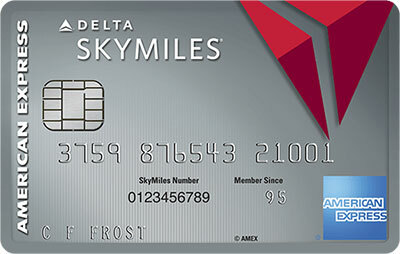 The Platinum Delta SkyMiles® Credit Card from American Express is an excellent card for frequent, heavy-spending Delta flyers who want to accelerate their progress toward Delta’s Medallion status tiers, which confer tremendously generous benefits that increase in value as you rise through the ranks. On the other hand, Platinum Delta SkyMiles is decidedly not meant for people who don’t spend enough to offset the high annual fee, nor those who aren’t especially loyal to Delta. Accelerated Medallion status, the annual Companion Certificate, SkyMiles bonuses, airport lounge benefits, generous Delta and general travel benefits, and no foreign transaction fees are all great. Limited rewards portability, poor redemption values at SkyMiles MarketPlace, slow SkyMiles accumulation on non-Delta spending, and no automatic loyalty status all hurt. Overall, this is a very good card for heavy-spending Delta loyalists.